Rising temperatures are drying out northern forests and peatlands, producing bigger and more intense fires. And this will only get much worse as the planet heats up from the use of ever larger amounts of fossil fuels, scientists warned last week at the end of a major science meeting in Vancouver. “In a warmer world, there will be more fire. That’s a virtual certainty,” said Mike Flannigan, a forest researcher at the University of Alberta, Canada. “I’d say a doubling or even tripling of fire events is a conservative estimate,” Flannigan told IPS. While Flannigan’s research reveals forest fire risk may triple in future, a similar increase in peat fires will be far more dangerous. There are millions of square kilometres of tundra and peatlands in the northern hemisphere and they hold more than enough carbon to ramp up global temperatures high enough to render most of the planet uninhabitable if they burn. A forest fire in Indonesia that ignited peatlands in 1997 smouldered for months, releasing the equivalent of 20 to 40 percent of the worldwide fossil fuel emissions for the entire year, he said. “There is the potential for significant releases of carbon and other greenhouse gases (from future peat fires),” Flannigan said. If peat fires release large amounts of carbon, then temperatures will rise faster and higher, leading to further drying of forests and peat, and increasing the likelihood of fires in what is called a positive feedback, he said. When the increased fire from global warming was first detected in 2006, Johann Goldammer of the Global Fire Monitoring Center at Germany’s Freiburg University called the northern forest a “carbon bomb”. “It’s sitting there waiting to be ignited, and there is already ignition going on,” Goldammer said according to media reports in 2006. Flannigan’s research is based on climate projections for 2070 to 2090. Forests will be drier and there will be more lightning with rising temperatures. Around the world, most fires are caused by humans, except in remote regions like boreal forest and treeless tundra, he said. Lightning sparked the 1,000-square-kilometre tundra fire fuelled by peat in Alaska’s Anaktuvuk River region in 2007. Lightning, once nearly unknown in the far north, is becoming more common as the region is now two to three degrees C warmer. Until the past decade, fire had largely been absent from the tundra over the past 12,000 years. The Anaktuvuk River peat fire burned for nearly three months, releasing about two million tonnes of CO2 before it was extinguished by snow. That’s about half of the annual emissions of a country like Nepal or Uganda. Surprisingly, the severely burned tundra continued to release CO2 in the following years. Peat can grow several metres deep beneath the ground. In fact, some peat fires burn right through winter, beneath the snow, then pick up again in the spring, said Flannigan. About half the world’s soil carbon is locked in northern permafrost and peatland soils, said Merritt Turetsky, an ecologist at Canada’s University of Guelph. This carbon has been accumulating for thousands of years, but fires can release much of this into the atmosphere rapidly, Turetsky said in a release. Over the past 10 years, fires are burning far more boreal forest than ever before. Longer snow-free seasons, melting permafrost and rising temperatures are large-scale changes underway in the north, Turetsky and colleagues have found. Other researchers have shown that the average size of forest fires in the boreal zone of western Canada has tripled since the 1980s. Much of Canada’s vast forest region is approaching a tipping point, warned researchers at the Helmholtz Centre for Environmental Research, Germany’s largest research organisation. This “drastic change” in normal fire pattern has occurred with a only a small increase in temperatures relative to future temperatures, the German researchers concluded in a study published in the December 2011 issue of The American Naturalist. Worldwide, fires burn an estimated 350 to 450 million ha of forest and grasslands every year. That’s an area larger than the size of India. The first-ever assessment of forest and bush fires’ impact on human health estimated that 339,000 people die per year from respiratory and other fire-related illness. “I was surprised the number was this high,” said Fay Johnston, co-author and researcher at University of Tasmania, Hobart, Australia. Half of the deaths were in Africa and 100,000 in Southeast Asia. Deforestation fires in the tropics are the worst when it comes to human health impacts, she said. Heavy smoke contains high volumes of tiny particles that are very damaging to the lungs and cardiovascular system and can produce heart attacks. “It takes humans to burn a rainforest. This would be the easiest to stop compared to other fires,” Johnston told IPS. Forest and bush fires result in many billions of dollars in material losses every year. Last year, fires in drought-stricken Texas resulted in at least five billion dollars in losses, while the Slave Lake, Alberta fire was Canada’s second worst disaster at 750 million dollars. Future fires will be bigger and more intense and largely beyond our abilities to control or suppress, said Flannigan. 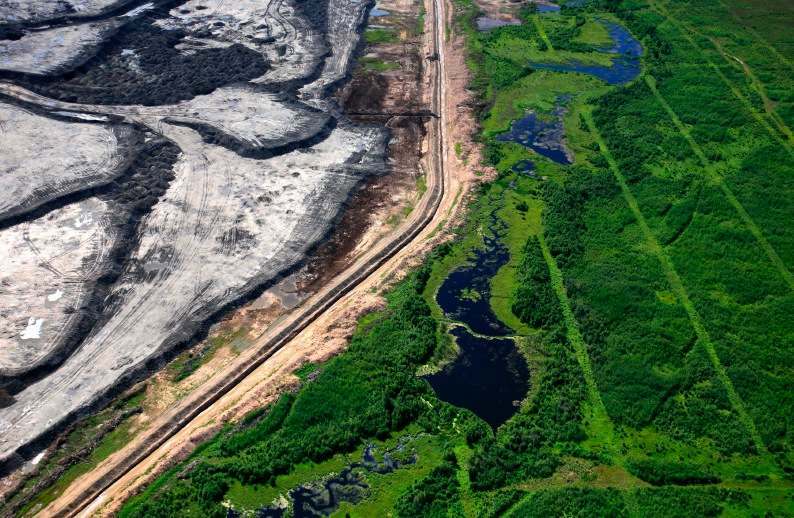 A moratorium on any new oilsands expansion is imperative given Canada’s failure to properly assess the total environmental and climate impacts Canadian and U.S. experts say in the prestigious science journal Nature. Even with a moratorium it will be very difficult for Canada to meet its international promise to reduce CO2 emissions that are overheating the planet according to government documents as previously reported by DeSmog. “Continuing to approve pipelines and new projects guarantees Canada will not meet the Harper government’s Copenhagen emissions reduction target,” said Wendy Palen, an ecologist at Simon Fraser University. “These are the plain facts Canadians need to be aware of,” Palen, a co-author of the Naturecommentary, told DeSmog. Canadians also have no idea of the overall ‘big picture’ of the impacts of oilsands production and transport because each project is assessed in isolation. In total more than 280 square kilometres of boreal forest and peatlands have already been eliminated to make way for oilsands development. That amounts to an area more than twice the size of the City of Vancouver. According to a 2012 study the destruction of this region of the boreal forest – a natural carbon sink –released about 100,000 tonnes of CO2 that had been safely stored underground. And it also meant the end of the region’s ability to absorb some 58,000 tonnes of CO2 every year. Over a 20-year time span that’s 1,161,000 tonnes of CO2 that stays in the atmosphere – close to half the annual emissions of the City of Vancouver. This does not include CO2 emissions from developing oilsands projects themselves nor the emissions from burning millions of barrels of oil produced there each year. This piecemeal approach is like determining the risk of cigarette smoking by only looking at the potential harm from smoking one cigarette, environmental economist Mark Jaccard said. As critics have pointed out during recent pipeline review processes, regulators like the National Energy Board do not consider the climate impacts of pipelines and oilsands projects. It’s considered ‘out of bounds’ Jaccard, another coauthor of the report, said. Each project is presented as an ultimatum: approve the project or lose an economic opportunity, he said. “This approach artificially restricts discussion to only a fraction of the consequences of oil development,” Jaccard and 7 co-authors argued in the report. The authors represent an interdisciplinary group of experts in environmental science, economics, policy development and decision science. But first Canada and the U.S. need to impose an immediate halt to new oilsands developments and related pipeline construction, the authors write. (The U.S. is considering developing its own oilsands in Utah and elsewhere). Then the two countries can jointly develop a strategy that allows energy developments to proceed only if they are within environmental limits and respect other national commitments to human health, social justice and biodiversity protection. Finally this strategy should assess the full range of potential impacts compared to alternatives. And it should include the options of saying ‘no’ to a project. Former Secretary of State Hillary Clinton said Canada and the U.S. need to co-ordinate their climate policies in an interview on the CBC’s The National last week. She acknowledged we need to get beyond project-by-project approvals. With new regulations on power plants, the U.S. may be on its way to meeting its Copenhagen emission reduction target, which is identical to Canada’s. While Prime Minister Harper “clearly doesn’t care about climate change,“ Jaccard told DeSmog, President Obama does and could make approval of the Keystone XL pipeline contingent on Canada meeting its 2020 target. 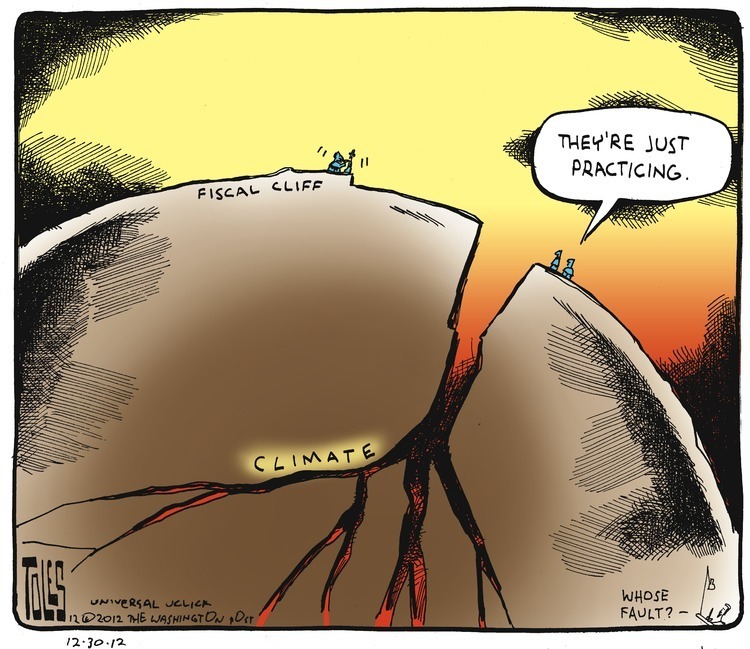 “Economists around the world now agree the costs of carbon pollution far outweigh the benefits,” Jaccard said. The world’s last remaining forest wilderness is rapidly being lost – and much of this is taking place in Canada, not in Brazil or Indonesia where deforestation has so far made the headlines. A new satellite study reveals that since 2000 more than 104 million hectares of forests – an area three times the size of Germany – have been destroyed or degraded. Since 2000 more than 104 million hectares of forests – an area three times the size of Germany – have been destroyed or degraded. “Every four seconds, an area of the size of a football (soccer) field is lost,” said Christoph Thies of Greenpeace International. The extent of this forest loss, which is clearly visible in satellite images taken in 2000 and 2013, is “absolutely appalling” and has a global impact, Thies told IPS, because forests play a crucial in regulating the climate. The current level of deforestation is putting more CO2 into the atmosphere than all the world’s cars, trucks, ships and planes together, he said, adding that “governments must take urgent action” to protect intact forests by creating more protected areas, strengthening the rights of forest communities and other measures, including convincing lumber, furniture manufacturers and others to refuse to use products from virgin forests. Greenpeace is one of several partners in the Intact Forest Landscapes initiative, along with the University of Maryland, World Resources Institute and WWF-Russia among others, that uses satellite imagery technology to determine the location and extent of the world’s last large undisturbed forests. The new study found that half of forest loss from deforestation and degradation occurred in just three countries: Canada, Russia and Brazil. These countries are also home to about 65 percent of world’s remaining forest wilderness. However, despite all the media attention on deforestation in the Amazon forest and the forests of Indonesia, it is Canada that has been leading the world in forest loss since 2000, accounting for 21 percent of global forest loss. By contrast, the much-better known deforestation in Indonesia has accounted for only four percent. Massive increases in oil sands and shale gas developments, as well as logging and road building, are the major cause of Canada’s forest loss, said Peter Lee of Global Forest Watch Canada, an independent Canadian NGO. A big increase in forest fires is another cause of forest loss. Climate change has rapidly warmed northern Canada, drying out the boreal forests and bogs and making them more vulnerable to fires. In Canada’s northern Alberta’s oil sands region, more than 12.5 million hectares of forest have been crisscrossed by roads, pipelines, power transmission lines and other infrastructure, Lee told IPS. Canada’s oil sands and shale gas developments are expected to double and possibly triple in the next decade and “there’s little interest at the federal or provincial political level in conserving intact forest landscapes,” Lee added. The world’s last remaining large undisturbed forests are where most of the planet’s remaining wild animals, birds, plants and other species live, Nigel Sizer, Global Director of the Forest Programme at the World Resources Institute, told a press conference. While forests can re-grow, this takes many decades, and in northern forests more than 100 years. However, if species go extinct or there are too few individuals left, it will take longer for a full forest ecosystem to recover – if ever. Trees, plants and all the creatures that make up a healthy forest ecosystem provide humanity with a range of vital services including storing and cleaning water, cleaning air, soaking up CO2 and producing oxygen, as well as being sources of food and wood. These ‘free’ services are often irreplaceable and generally worth far more than the value of lumber or when converted to cattle pasture, said Sizer. In just 13 years, South America’s Paraguay converted an incredible 78 percent of its remaining forest wilderness mainly into large-scale soybean farms and rough pasture, the study found. 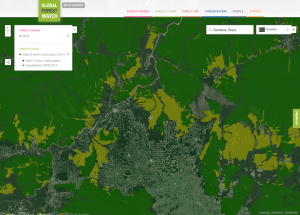 Satellite images and maps on the new Global Forest Watch website offer see-it-with-your-own eyes images of Paraguay’s forests vanishing over time. The images and data collected for the study are accessible via various tools on the website. They reveal that 25 percent of Europe’s largest remaining forest, located 900 km north of Moscow, has been chopped down to feed industrial logging operations. In the Congo, home of the world’s second largest tropical forest, 17 percent has been lost to logging, mining and road building. The Global Forest Watch website also shows details of huge areas of Congo forest licensed for future logging. 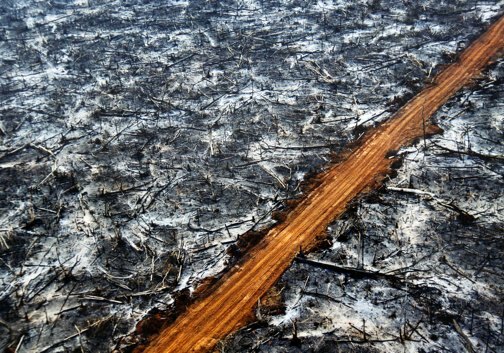 Deforestation starts with road building, often linked to logging and extractive industries, said Thies. In some countries, like Brazil and Paraguay, the prime reason is conversion to large-scale agriculture, usually for crops that will be exported. The new data could help companies with sustainability commitments in determining which areas to avoid when sourcing commodities like timber, palm oil, beef and soy. Market-led efforts need to gain further support given the lax governance and enforcement in many of these forest regions, Thies said. He called on the Forest Stewardship Council (FSC) – a voluntary certification programme that sets standards for forest management – to “also play a stronger role” and to improve those standards in order to better protect wilderness forests. Without urgent action to curb deforestation, it is doubtful that any large-scale wild forest will remain by the end of this century, concluded Sizer. Few are aware Canada’s GDP shot up from an average of $600 billion per year in the 1990s to more than $1.7 trillion in 2012. This near tripling of the GDP is largely due to fossil fuel investments and exports. However not many Canadians are three times wealthier. For one thing GDP is only a measure economic activity. The other reason is that little of this new wealth stayed in Canada. And what did stay went to a small percentage of the population, worsening the gap between rich and poor. One of the hallmarks of a “petro-state” is that while a country’s energy industry generates fantastic amounts of money, the bulk of its citizens remain poor. Nigeria is a good example. Canada’s poverty rates have skyrocketed in step with the growth of the energy sector. One Canadian child in seven now lives in poverty, according to the Conference Board of Canada, the country’s foremost independent research organization. Income inequality increased faster than the US, with the rich getting richer and poor and middle class losing grounds over the past 15 to 20 years, the Conference Board also reported January 2013. Protecting bits of nature here and there will not prevent humanity from losing our life support system. Even if areas dedicated to conserving plants, animals, and other species that provide Earth’s life support system increased tenfold, it would not be enough without dealing with the big issues of the 21st century: population, overconsumption and inefficient resource use. Without dealing with those big issues, humanity will need 27 planet Earths by 2050, a new study estimates. The size and number of protected areas on land and sea has increased dramatically since the 1980s, now totaling over 100,000 in number and covering 17 million square kilometres of land and two million square kilometres of oceans, a new study reported Thursday. This independent environmental journalism depends on public support. Click here learn more. But impressive as those numbers look, all indicators reveal species going extinct faster than ever before, despite all the additions of new parks, reserves and other conservation measures, according to the studypublished in the journal Marine Ecology Progress Series. “It is amazing to me that we haven’t dealt with this failure of protected areas to slow biodiversity losses,” said lead author Camilo Mora of University of Hawaii at Manoa. “Very disappointing.” That was the term business and non-governmental organisations used to describe the formal intergovernmental negotiations at the Rio+20 Earth Summit as of Tuesday. With overwhelming scientific evidence showing that the Earth’s ability to support human life is at serious risk, the Rio+20 summit is being held to help chart a safe course that will steer away from disaster and bring a better future people around the globe. After two years, negotiators from more than 190 nations agreed Tuesday to a 49-page draft of the document “The Future We Want”, intended to be the roadmap for this transformation. This document will be presented to heads of states in Rio de Janeiro to revise and finalise by the summit’s conclusion on Friday. Yet the draft document leaves out a 30-billion-dollar fund proposed by a group of developing countries known as the G77 to finance the transition to a green economy. Nor does it define tangible Sustainable Development Goals (SDGs), which will be substituted for the Millennium Development Goals, which expire in 2015. “This (the revised text) is extremely disappointing….There is no vision, no money and really no commitments here,” said Lasse Gustavsson, head of the Rio+20 delegation from WWF International, which works to stop environmental degradation worldwide. “Rio+20 should have been about life, about the future of our children, of our grandchildren. It should have been about forest, rivers, lakes, oceans that we are all depending on for our food, water and energy security,” Gustavsson told TerraViva. Instead, two years of work have resulted in merely a long document that commits to virtually nothing but more meetings, he said. “This document is a great disappointment. There’s no ambition and little reference to the planetary boundaries we face,” said Kiara Worth, representing the U.N.’s Major Group on Children and Youth at Rio+20. The science is crystal clear: humans are threatening Earth’s ability to support mankind, and a new world economy is urgently needed to prevent irreversible decline, said scientists and other experts at an event on the sidelines of the Rio+20 Earth Summit. Yet the Global Environment Outlook report, or GEO 5, which was launched on June 6 and assessed 90 of the most important environmental objectives, found that significant progress had been made only in four in the 20 years since the first landmark summit in Rio in 1992. Achim Steiner, the executive director of the United Nations Environment Programme (UNEP) said the results of GEO 5 were “depressing, even to me”. Instead, “what’s happening right now in the RioCentro (Rio+20 official site) is that science is being picked out of the text of the final agreement,” Johan Rockström, executive director of the Stockholm Resilience Centre in Sweden, told the conference. Rockström said he had received updates from the negotiations that the United States and some of the world’s least developed countries were attacking the science showing humanity is pushing up against “planetary boundaries”. Climate is only one of those “planetary boundaries”. 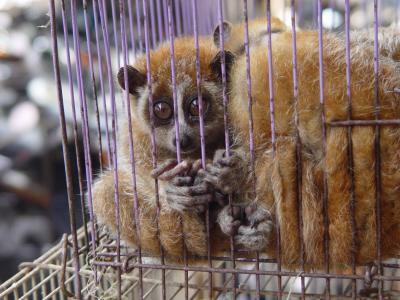 Another is the ongoing decline of biodiversity, where so many plants and animals are going extinct that the Earth’s living systems, upon which humanity depends, are unravelling. Fresh water is another planetary boundary. Water is a limited resource, yet water use has increased six-fold in the past century.